Cape Town - Mamelodi Sundowns secured a 1-0 win over Platinum Stars in their Absa Premiership match at the Royal Bafokeng Stadium on Sunday. The victory takes the Brazilians to fifth spot in the league standings, while Dikwena, who are winless this season, remain 16th on the table. The Brazilians got off to a perfect start as they broke the deadlock after Hlompho Kekana and Khama Billiat combined brilliantly just two minutes into the game. A long ball from Kekana found Billiat, who beat his marker inside the Dikwena box, before firing past goalkeeper Mbongeni Mzimela to make it 1-0 to Sundowns. Billiat and Percy Tau were causing havoc in the Stars defence as they combined nicely in the opposition's half as they looked to double Sundowns' lead. Tau came very close to scoring in the 17th minute when his effort from a well-taken free-kick shaved the upright with Mzimela beaten. As the match progressed, Dikwena were able to contain the Brazilians, who were dominating the midfield battle through Kekana and Tiyani Mabunda. 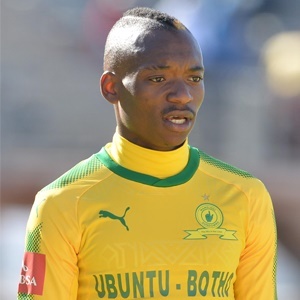 Billiat had a chance to grab his brace in the 41st minute after he was released in behind the Stars defence, but this time Mzimela produced a fine to deny the attacker from close range. The former Ajax Cape Town winger was unstoppable as he then beat two Stars defenders two minutes later, before forcing Mzimela into a diving save. Sundowns were deservedly leading 1-0 at the interval after dominating the first-half, but the home side was able to contain them after conceding an early goal. Roger De Sa, the Stars coach, made the first change of the match just before the second half - introducing Katlego Otladisa for another youngster Sibongakonke Mbatha as the hosts looked to level matters. However, Billiat continued to terrorise the Stars defence with his skill and pace. Mzimela also continued to make crucial saves for his side. The former AmaZulu shot-stopper gathered Tebogo Langerman's long range effort with ease in the 54th minute, before he denying Kekana from close range three minutes later. Sundowns were forced to make a substitution in the 68th minute as Mabunda went down injured and he was replaced by defender Thabo Nthethe, who was played as a defensive midfielder. But the Brazilians still looked dangerous whenever they launched an attack and Mzimela had to parry Kekaka's thunderous free-kick in the 71st minute. With the visitors piling pressure on the Dikwena defence, Robert Ng'ambi made a world class clearance in the 75th minute, before Cuthbert Malajila's effort could cross the goal-line. However, Stars managed to contain Sundowns in the remaining minutes and the visitors secured a 1-0 victory on the day.